Up until now Ichigo Kurasaki has believed soul hunters were the only beings who tracked down hollows, a sort of undead predator. 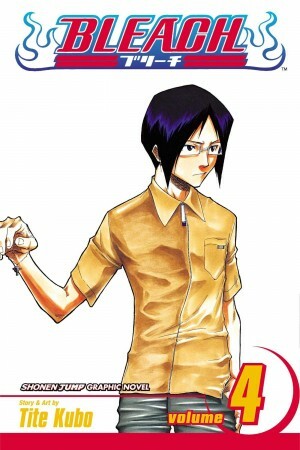 The final chapter of Quincy Archer Hates You introduced an archer who identified himself as a Quincy, and is fellow high school student, Uryû Ishida. Top of the class in fact. Quincies also hunt hollows, and have a different, more effective and fatal method of dispatching them. Tite Kubo has constructed a mythology for his new organisation, leading back to a centuries old rift, but one that has very dangerous present day implications. Ichigo has been characterised as someone whose buttons can be pushed, and allowing himself to be provoked leads to a contest in which a hatful of hollows are lured to Tokyo. The danger is that they’re attracted to those who can see ghosts. 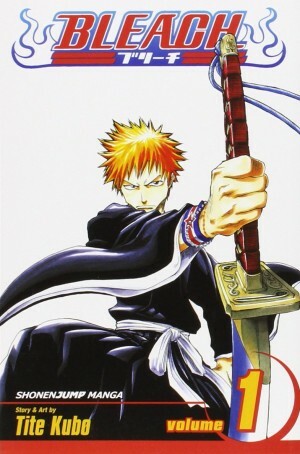 Ichigo already knows several people who could therefore be casualties, and Kubo reveals that other cast members have hitherto unsuspected abilities. 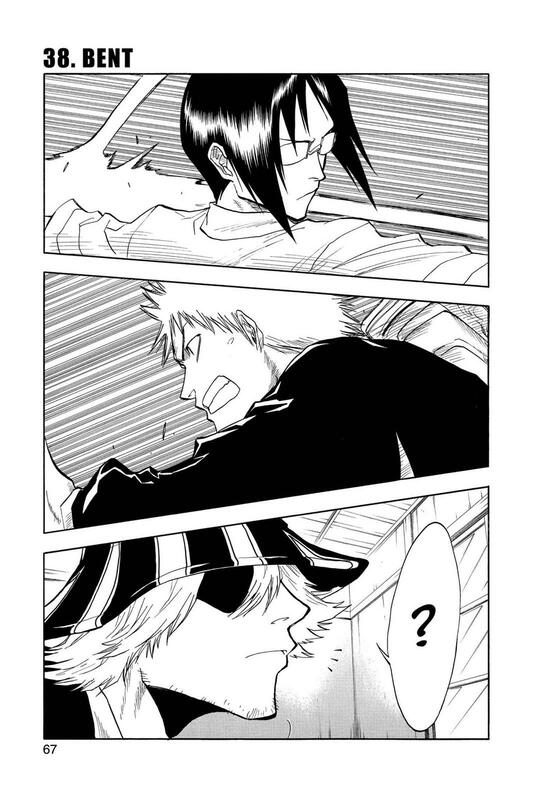 This may come across as just too convenient for the story, but Kubo has a logical explanation for this development. The result is the well generated tension of multiple threats across a wide area, and even Ichigo can’t deal with them all simultaneously. He’s become relatively comfortable with his competence over four volumes, and Right Arm of the Giant removes him from that comfort zone. Yes, there is another plot convenience in Ichigo’s high school being a nexus for those with abilities beyond human, but that’s a minor distraction from the buttock squeezing suspense. 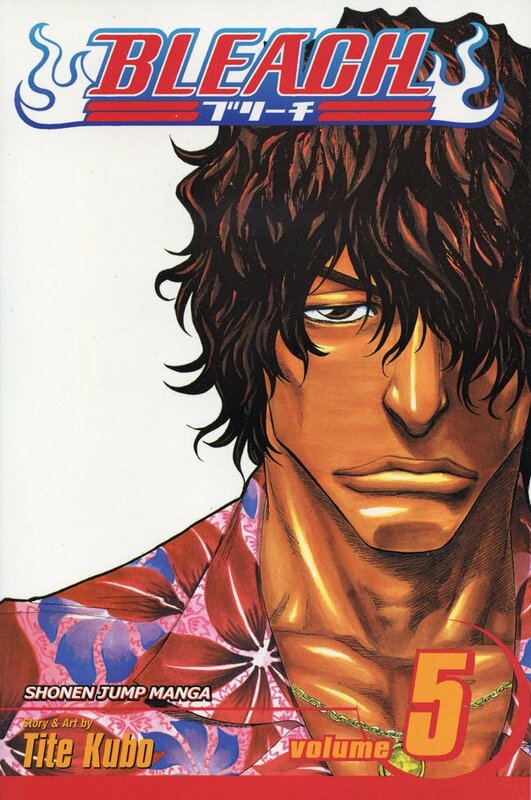 As the action concentrates first on one member of the supporting cast and then another, Kube takes the opportunity to give them all a greater depth, and along the way we learn more about Chad, Orihime, Tatsuki and others. 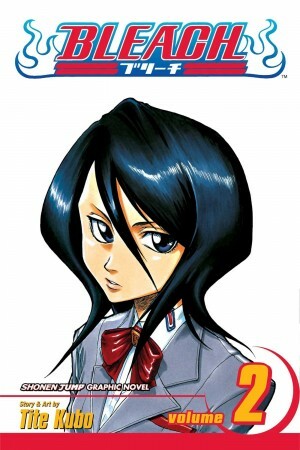 Orihime in particular is taken in a new direction and one that moves Bleach more toward sickeningly ultra-cute manga. As it’s a development for a minor character it’s not affecting the series as a whole, but comes across as conveniently contrived. There are far more action pages than in the last couple of books, which means a return to Kube’s confusing action style. There’s motion and flashes of specific pauses in it, but as before it’s not conventional action storytelling, and that the hollows manifest in assorted shapes and sizes hardly clarifies matters. The plot set in motion is too large to be contained in the single book, so the tension will continue until you pick up The Death Trilogy Overture. Sounds ominous.